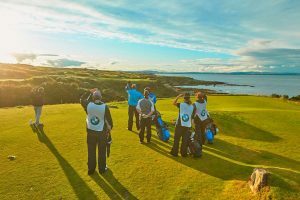 It’s that time of year again… a busy summer season at St Andrews Links begins to wind down and hosting duties of the Alfred Dunhill Links Championship have ended for another year. The annual tournament held over the Old Course, Carnoustie and Kingsbarns is a pro-am format. The amateur golfers range from young prospects who hope to become professional one day to famous faces known around the world. Over the years we have welcomed the likes of Samuel L. Jackson, Michael Douglas, Jamie Dornan and Kelly Rohrbach to name but a few. An enormous amount of work and effort goes into the Dunhill every year from countless groups of people and organisations. 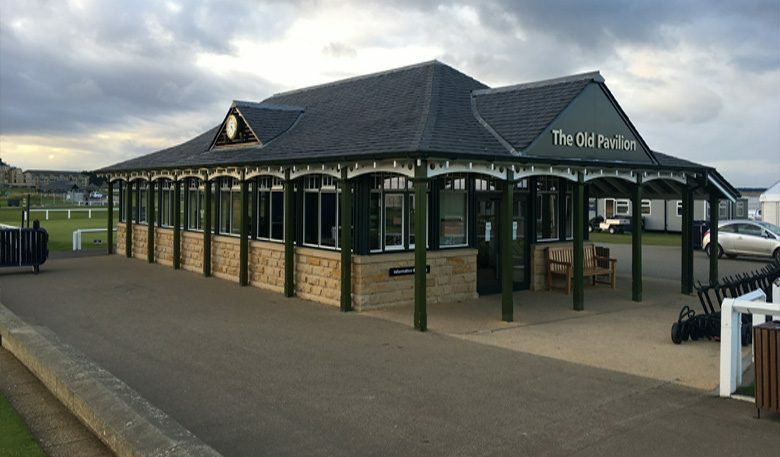 Personally, I work in The Old Pavilion which is situated near the first tee of the Old Course. On a regular day, when the Dunhill is not on, this is a sanctuary for visiting and local golfers alike. 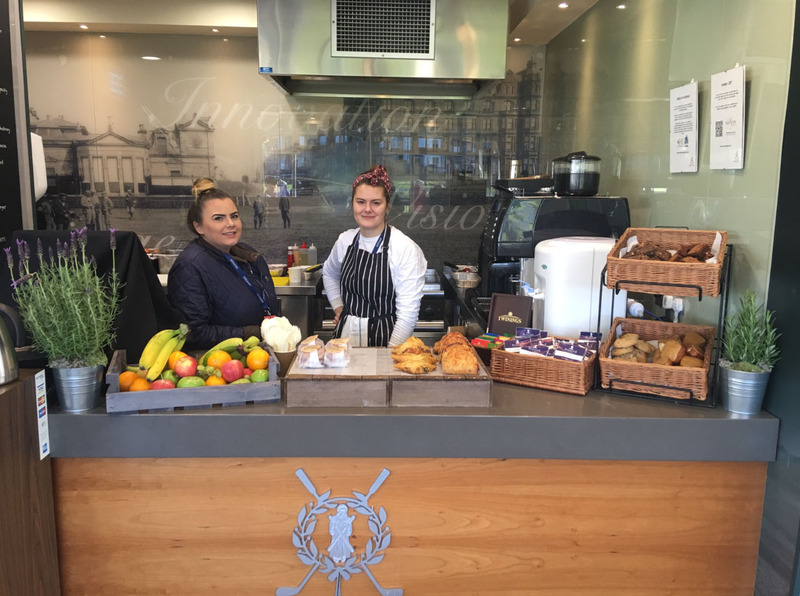 We have a snack bar inside where golfers can come in and grab a nice, hot coffee or a freshly prepared bacon roll. 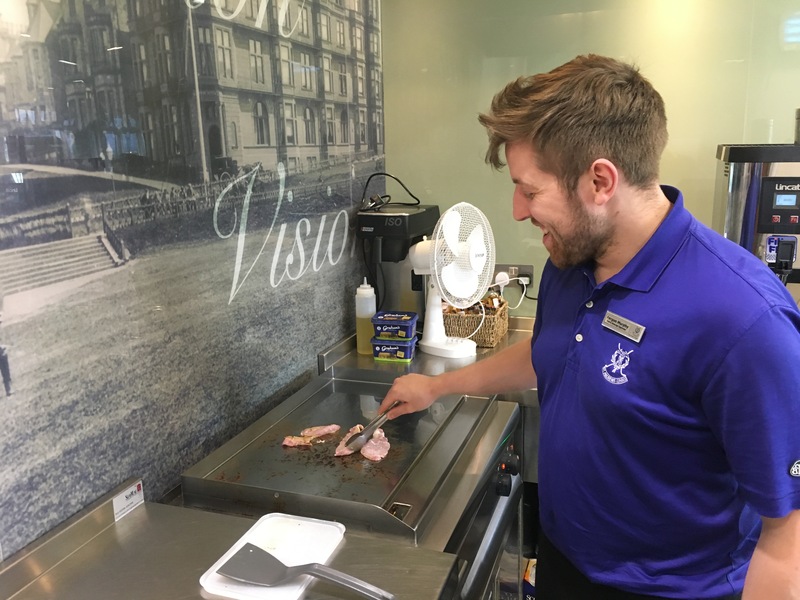 The best bacon roll in town… or so I’ve heard! 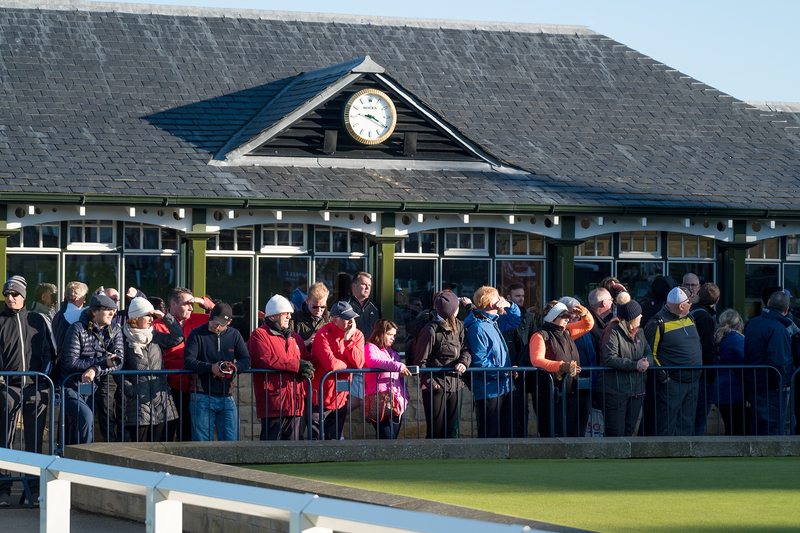 During the Dunhill, The Old Pavilion is reserved for players, their guests and caddies. It’s used as a starting position for those teeing off on the first hole and as a much needed half-way house for those who began their round on the tenth tee. 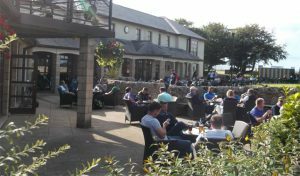 At times when there are strong winds and precious little sun, the look on the faces of players and caddies when they stop in is one of pure relief! Each year, we stock a range of refreshments from hot and cold drinks to warm snacks and sweets to nibble on. 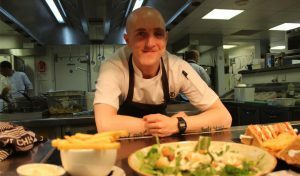 This year, we were delighted to work with ‘Balgove Larder’ who produce some of the finest local Scottish produce, much of which is grown or reared within a few miles of the Old Course itself. As I write, the excitement of the Dunhill has finished for another year. Looking out the window of The Old Pavilion, all the equipment and temporary buildings are being cleared away with the once busy stands now empty. It truly was another very successful edition of the event (course-records and championship firsts to boot). Seeing the smiles on people’s faces as I did during the event only helps confirm this.